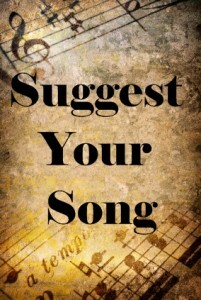 Had a Song Suggestion? Here's a Few of Your Requests! Seems like only yesterday when we posted about our continued efforts to help you find your song. We’re not ready to make our big announcement yet, but we can tell you that we’ve made significant changes on the back end to get ready a change. Before we revisit the song suggestion tool for those of you who are new to Musicnotes, here’s the Top Five most requested songs that are now available on Musicnotes.com. These are songs that YOU asked for, and are now available through our site for the US and Canada. If you can’t find sheet music for the song that you’re looking for, we encourage you to use our song suggestion tool. We take your requests seriously, and have added several songs over the past, few months to our website including: sheet music for the Twilight soundtrack, Mistletoe by Colbie Caillat and Fidelity by Regina Spektor. Thanks to all of you who suggested songs. As we mentioned earlier this week on Twitter, sometimes some music never even gets to print (or digital format) for many reasons. Some songwriters never even consider releasing the song as sheet music because the film they wrote for didn’t do as well as they expected. In some cases, some artists release sheet music in specific areas of the world, like Australia, but don’t make the songs available elsewhere. Even though realizing that there are issues with an artist or a song is definitely not the fun part of reading your song requests, we are really happy when we can fulfill your requests. Thanks to you, we just celebrated your five millionth digital download since Musicnotes first started. We hope you’ll join us as we raise a glass to you today. Cheers to fulfilling your favorite song requests and celebrating the next five million!!! Now, what are you reading our blog for… Grab your sheet music and play or sing your favorite song today!